The month of October at New Mexico State University is bustling with mid-semester activities as the cooler fall air rolls into Las Cruces. Many groups like ASNMSU on campus have Halloween activities planned, and students are ready for fun. While some groups set up for haunted houses and apple bobbing, another group on campus has worked hard this month to make a difference by raising money for a very important cause. 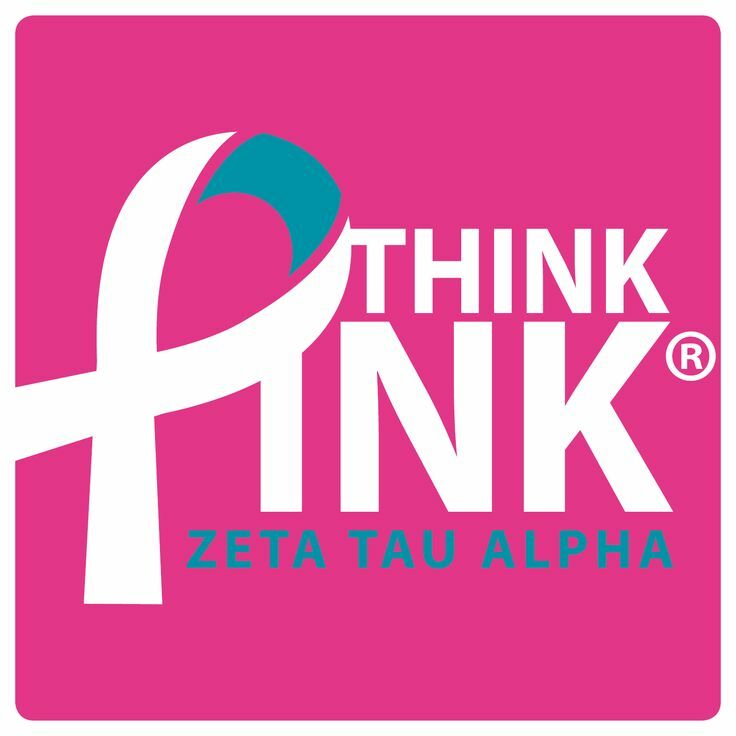 The Zeta Tau Alpha sorority here at NMSU spends every October working to raise breast cancer awareness as well as money for breast cancer education. Since October is breast cancer awareness month, the Zeta Tau Alpha sorority has teamed up with the NFL and the “Bright Pink” foundation for its “Think Pink” philanthropy. The ladies of Zeta Tau Alpha are hosting campus events throughout the month. NMSU students, faculty, staff and residents of Las Cruces may donate to and participate in any of these events. All proceeds go to breast cancer education and awareness. One of the events hosted by the ladies of Zeta Tau Alpha was the “Think Pink” 5k run on Oct 7. Participants donated $20 to the ladies of Zeta Tau Alpha and ran five kilometers around the NMSU campus in their pink workout clothes. The ladies have also appeared around campus with their “Kiss Away Cancer” tables where participants donate cash and then use pink lipstick to “kiss away cancer” on a piece of cardboard. The ladies are also handing out their trademarked “Think Pink” Zeta bows this month. It’s common to see these bows on student’s backpacks and elsewhere around campus. The pink bows are one of Zeta’s main ways of raising awareness on campus, and are available from any Zeta Tau Alpha member for the remainder of the month. Many people are touched by the subject of breast cancer education and awareness and are happy to help out the ladies of Zeta Tau Alpha with donations and by participating in all the events. “This is a very serious month for a lot of people, including myself. Knowing people personally who have been affected by breast cancer and seeing the devastation it causes, it makes me happy to know that there is a group on this campus who dedicates a whole month to such a good cause. I’m happy to donate and participate in any event that these ladies put on,” said Steven Miles, a Las Cruces resident. The ladies of Zeta Tau Alpha raised a little over $2,000 last year and want to raise about $3,000 this year in their effort to fight breast cancer. Students, faculty and staff can donate cash at any of the “Think Pink” tables in Corbett Center and other places around campus. On Oct. 14, the New Mexico State Zeta Tau Alpha chapter teamed up with the Zeta Tau Alpha chapter at UTEP to run another 5k to raise money for the cause. All and all, the philanthropy is a very meaningful one, and is the reason a lot of girls decided to join Zeta Tau Alpha. With so many people being affected directly or indirectly by breast cancer, it comes as no surprise these ladies are passionate about the Zeta Tau Alpha philanthropy. “Choosing a sorority is difficult for a lot of girls, but for me the second I saw that Zeta’s philanthropy was breast cancer awareness I was sold. It really hits home with me because my grandmother is a survivor and my aunt is a current battler. I love my sorority and I absolutely love what we stand for. I think that it is something everybody can get on board with,” said Emma Lederer, a junior in Zeta Tau Alpha. Zeta Tau Alpha takes a lot of pride in what it does. “I am so proud to say that I can take part in and run something that is so meaningful and beautiful, really. To say that I am behind something that affects so many people’s lives positively is what keeps me going, and makes me love being a Zeta that much more. I wouldn’t trade what I do for the world,” said Shandiin Farrell, philanthropy chair of Zeta Tau Alpha. Overall, these ladies are doing something great on the New Mexico State University campus during the month of October. 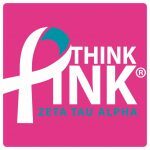 Make sure to look around for the “Think Pink” ribbons and other events put on by the ladies of Zeta Tau Alpha.